The combination of a slouched effect upper teamed with embossed woven detailing, gives the Lotus Frazetta ankle boot a distinguishable look. This round toe, brown leather, ladies’ ankle boot also boasts a decorative button, a wooden stack effect 5cm heel and a cleated sole unit. 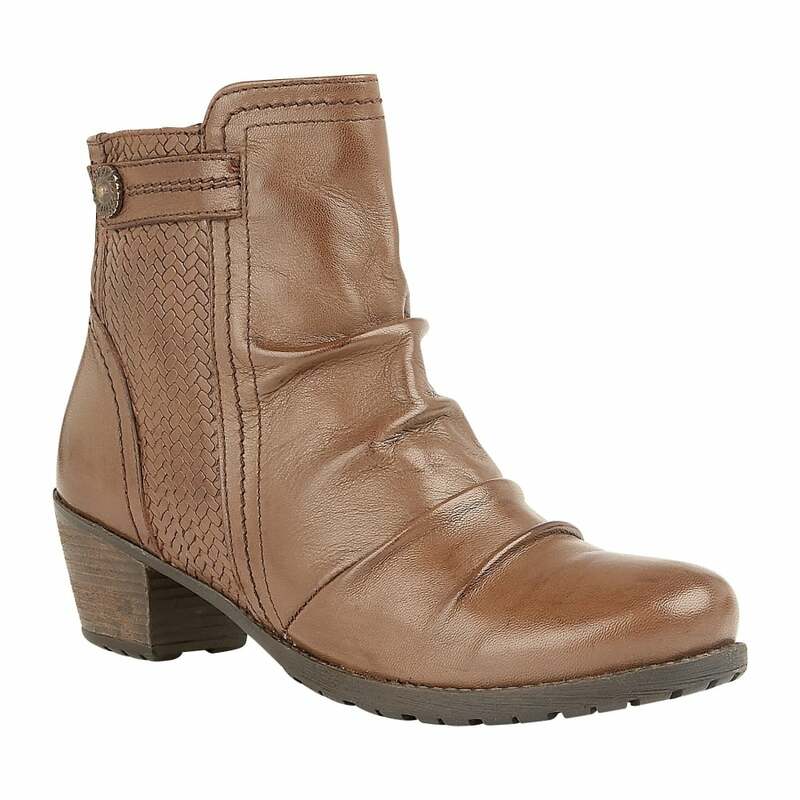 This Lotus ladies’ ankle boot is the perfect accompaniment to a wealth of off duty looks.